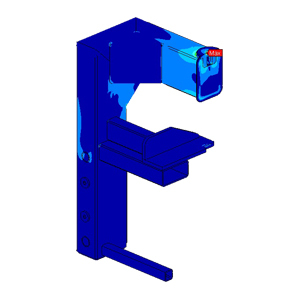 FEA-Solutions (UK) Ltd - Finite Element Analysis For Your Product Design | 611: Lifting Frame Half model of a lifting frame for different lifting attitudes. The analysis resulted in recommendations on how to improve weaknesses of the initial design. The design modified accordingly then passed the acceptance criteria.